This page was posted with permission from Jen Reviews. Also see the Coach's Clipboard Basketball Drills index. These drills are a very important part in the whole game of basketball. Without them, there is always a risk of injury and torn muscles. Warm up drills also get the mind in focus on the game. They are a really good idea – not only from a safety point of view – but they are a great way to get the players to be mentally ready and prepared for the upcoming game. This is one area of training that should never be omitted for any reason as to do so may cause an unnecessary injury. There is a well-known phrase that 'defense wins games' and if this is true, then it seems logical to spend some time drilling the moves to achieve perfection. It makes sense to work on specific drills for specific areas of the game, and perfect them in order to know the play well and beat the opposition. These drills do not have to be performed in any specific order, they can be mixed around to stop players becoming bored with the same routine. It's a good idea to have a good selection of drills for any aspect of the game so that the players are kept motivated and do not get bored with a drill routine. 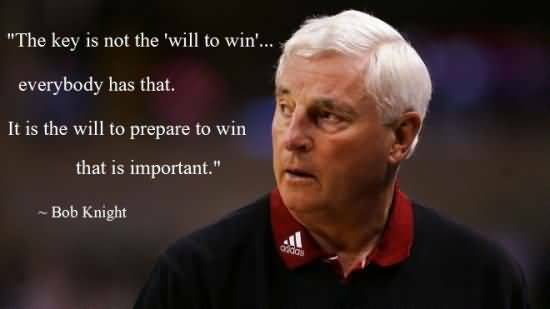 It will keep players excited about upcoming games and make sure they are motivated to win each game! Shooting drills are probably the most fun drill to do. Everyone wants to shoot a goal! They can be done in any order to be effective. A good point here is from a coach to start small and end tall. Shooting is not only physical, but it also entails a strong mental attitude which these drills seek to strengthen. Rebounding stats are good indicators of how the game has gone, they are also good indicators of how well the team is playing, and how well they are focused. Rebounding drills will build knowledge, skill and the determination needed to get the points! Rebounding drills tend to be fast and furious so should be done after a warm up and before the players start to lag a little. Anything that you can do to improve your rebounding will help you. A team which is able to create a rebounding advantage over their opponent, will invariably win a lot of games. Team awareness with rebounding is vitally important and the whole team should understand the implications rebounding has for both winning and losing. 27. Run to front of rim on a dribble drive: Follow your teammates to the rim all the time as you will be there in case your opponent misses. It allows more offensive rebounds and also more points. Try to have partners pair with same size and abilities, this will be more successful and rewarding. Partnering will also enhance the individual skills at passing and catching and are very quickly worked through so the chance of getting bored is reduced. Partnering can be as fast or slow as the coach decides and in any order which works well. Passing is probably one of the most under taught skills in the game! It is a good idea when coaching passing that the coach not only teaches the skill to pass, but also the mentality that goes with it. Basketball – being a team game – means that all players are involved and therefore passing is a vitally important skill which needs to be drilled regularly, if the team is to succeed. Drills are used to achieve personal player development as well as teaching team work and skills. Most of these drills can be changed around so that the players never get bored with a set routine. This will help in your team developing the skills and determination they need to win. 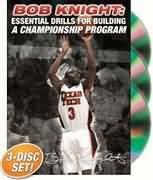 The off season is the time when these skills and drills may be put into place. Players need to be strong enough to withstand contact, yet supple and quick enough to change direction in an instant. Off season is the perfect time to work on getting strong, both mentally and physically in order to play the game. Pre-season training for players will only be beneficial. After a basketball workout, it is really important that the body slowly returns to normal. It is vital to have a good cool down routine to prevent injury. This should also include stretches. The aim of the cool down is to have the heart rate gradually return to normal, reduce the waste product lactose, and to reduce the risk of sore muscles. Every basketball coach who teaches youngsters the game has a huge responsibility placed on their shoulders! It is a great obligation to teach them the right things in life. These young players will look up to a good coach who encourages them and drills them correctly. Drills for youngsters are very important and will set habits that will last a long time. Make sure they are good habits! The World Association of Basketball Coaches has just one goal in mind and that goal is to 'improve the standard of the game through improving the standard of those teaching the game.' This organization dedicates itself to the development of coaches throughout the world. They organize many coaching clinics and produce coaching resources in many different languages. Every basketball coach must have certain standards that they work to and achieve when coaching players. The coach needs to have an end result in mind with every drill he asks his players to work on. It is his job to identify players with certain skill sets and abilities and to encourage them to perfect these skills. Not every player will be able to do every drill and some will be more relevant to some players than to others. A good coach will spot these differences and build on them. He will not push his players to do drills which are beyond their capabilities or are too advanced for them. A good rule of thumb is to have a selection of drills, many of which are fairly simple. A few should however be a little more complex and require thought before attempting. Every player should be given the opportunity to show their skill level and develop at their own pace. Being in shape for the game season begins long before the season actually starts and a good coach will have his players begin to condition early. Not only does this give him an idea of how the players handle the exercise routines, but it also shows him their attitude and eagerness to be a part of the team. Drills therefore, play a very important part in the game of basketball throughout the whole year, and not just during the playing season.